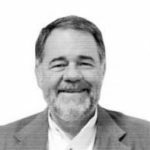 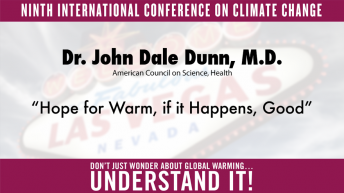 John Dale Dunn has been a physician 42 years, is Board Certified in Emergency Medicine and Legal Medicine, and has been an inactive attorney for 35 years — admitted by examination to the bar in Nebraska, Louisiana and Texas. He has conducted research, scholarship and advocacy on environmental science and policy issues for 25 years. 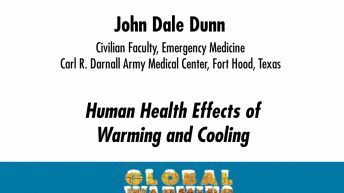 For the last eleven years, Dunn has been on the Civilian Faculty, Emergency Medicine Residency, at Carl R. Darnall Army Medical Center, Fort Hood, Texas. 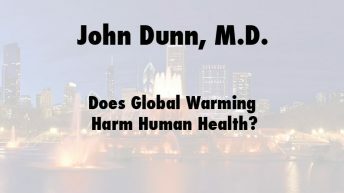 Areas of professional and scholarly interest, human health effects of warming, air and water pollution, toxicology and epidemiology—legal scientific evidentiary issues, ethics, research methodology. 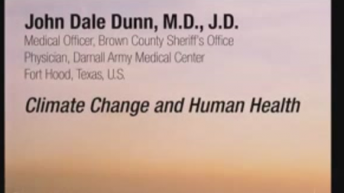 He is Medical Director of multiple Ambulance Services in Central Texas, Medical Officer in Brown County, Texas, under Sheriff Bobby Grubbs, and a consultant to Rural Texas Hospitals on compliance and peer review matters. 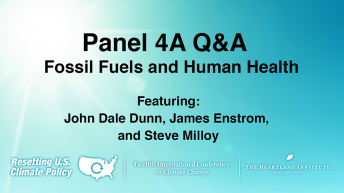 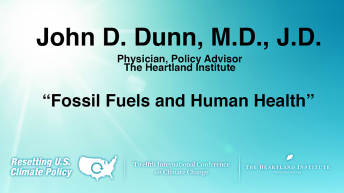 Dunn was a previous presenter at Heartland climate conferences, a contributor to Heartland publications and actively blogs at JunkScience.com.